Failure to friend or to remain friended shall be a breach of the residential rental agreement. 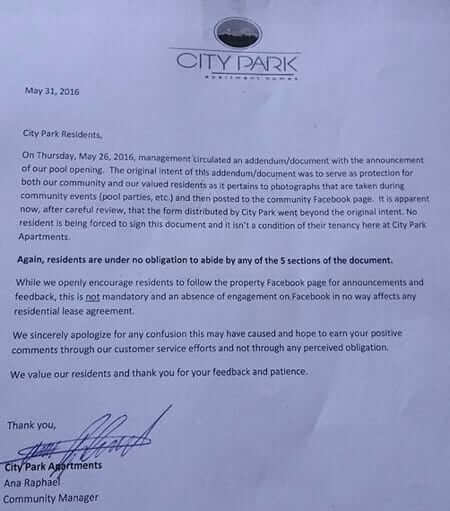 Moreover, the Facebook Addendum said that City Park could notify their tenants of legal notices on the Facebook page, but that, conversely, tenants could not serve legal notices on City Park via the City Park Facebook page. It also purported to give City Park full permission to post pictures of their tenants – and their tenants’ guests – on City Park’s Facebook page. 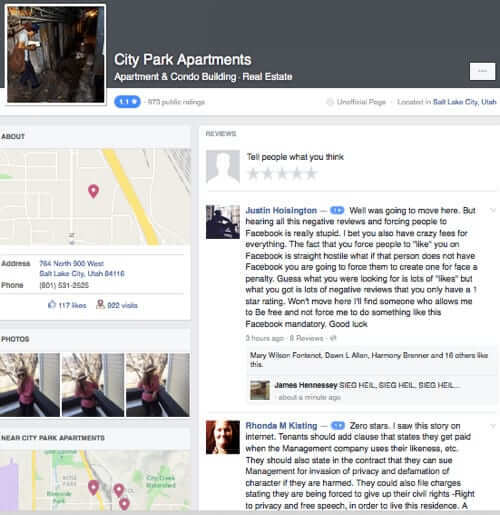 This whole thing came to light when one City Park tenant, Jason Ring, posted the Facebook Addendum on his own Facebook page, and it caught the attention of one of Ring’s friends, who happens to work KSL TV in Salt Lake City, and KSL decided to run it as a story. The story quickly spread, and rather than “liking” the page, as demanded, City Park tenants and others did quite the opposite, lambasting and ridiculing them on the City Park Apartments Facebook page. Two things should be noted about that Facebook page: 1) There is some question as to whether that page, which stated that it was the “unofficial page”, was actually created by City Park Apartments, and 2) the story broke on Tuesday, May 31st, and by Tuesday afternoon the page was taken down (which suggests to us that it probably was administered by the apartment complex), but not before it was cached by Google. It’s pretty clear why they would want the page removed – the negative comments were piling up. Moreover, just as we were putting this article to press, the tenants of City Park Apartments received an official retraction and apology from the complex. So, here is what we at the Internet Patrol think happened. We think (and remember, this is just conjecture, but it makes sense) that someone at City Park said “we need something to cover our using photos on our Facebook page,” and tasked someone to come up with a document to cover that. So, class, what is the lesson to be learned here? This Addendum is entered into on the date below between the parties signed below. It is intended to be a part of the lease agreement between the parties for the leasing a residential rental unit. 1. Friend. Resident agrees to “friend” the community Facebook page as listed above and to maintain the community as a friend so long as the obligations under the residential rental agreement exist. Resident shall friend the community page within five days of execution of the residential rental agreement. Failure to friend or to remain friended shall be a breach of the residential rental agreement. 2. Communication. 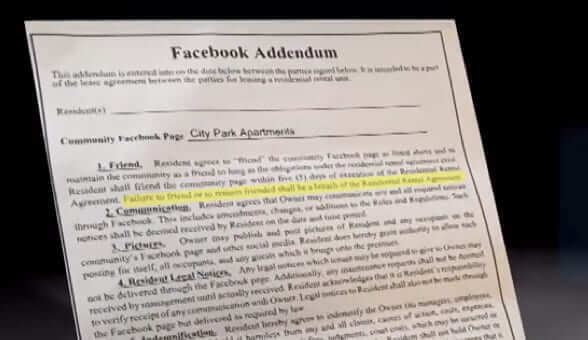 Resident agrees that the owner may communicate any and all required notices through Facebook. This includes amendments, changes, or additions to the Rules and Regulations. Such notices shall be deemed received by the resident on the date and time posted. 3. Pictures. Owner may publish and post pictures of Resident and any occupants on the community’s Facebook page and other social media. Resident does hereby grant authority to allow such posting for itself, all occupants, and any guests which it brings onto the premises. 4. Resident legal notices. Any legal notices which the tenant may be required to give to owner may NOT be delivered through the Facebook page. Additionally, any maintenance requests shall not be deemed received by management until actually received. Resident acknowledges that it is Resident’s responsibility to verify receipt of any communication with Owner. Legal notices to Resident shall also not be made through the Facebook page but delivered as required by law. 5. Indemnification. Resident hereby agrees to indemnify the Owner (its managers, employees, agents, and affiliates) and hold it harmless from any and all claims, causes of action, costs, expenses, liabilities, including, without limitation, attorney’s fees, judgments, court costs, which may be incurred or alleged by reason of any usage by Owner of the community Facebook. 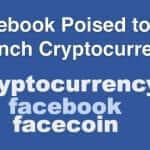 Resident shall not hold Owner or its management or agents liable for any usage of the community Facebook. Resident further agrees that it shall not post or cause to be posted any negative information relating to Owner, the community, management, or any employees on any Facebook page which is open and available to the public or on the Community page. Resident further agrees to not post on any public forum or page negative comments relating to the community. It might be reasonable for the apartment complex to use Facebook for notices such as, “Due to the July 4th holiday, garbage pickup will be on Friday instead of Thursday this week”. 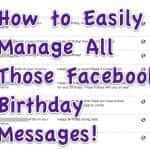 If I understand Facebook, the tenants would then have to “friend” the page to get those notices – and “friend” on Facebook only means that you’ve allowed such messages, not that you approve of the management in any way. E.g., it’s quite possible to use that link to post messages telling the management to FOAD and advising anyone looking for an apartment to avoid this complex. But this goes way beyond that semi-reasonable requirement. #2 implies that they’ll use Facebook to serve legal notices as well as informational ones; I very much doubt that Facebook is a robust and reliable enough infrastructure for that purpose, as they recognize in #4. Finally, #3 and #5 are just plain exploitative.